Welcome to Aloha self catering accommodation. It is owned by Francis and Ronnie Holloway who have resided in Paternoster for over 10 years and have decided to share their piece of paradise. Aloha is situated in the quieter part of Paternoster called Mosselbank and is a close walking distance to the beach (200 meters) and to the shops and local restaurants. 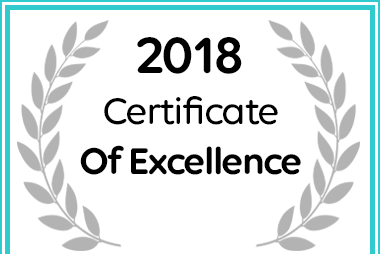 Aloha at Paternoster for Self Catering in Paternoster has received a 2018 Certificate of Excellence Award. 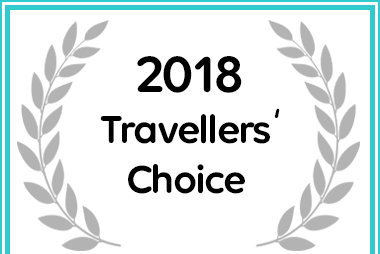 Aloha at Paternoster received an Afristay Travellers' Choice Award for excellent reviews. Aloha 1 is situated upstairs and features a Queen size bed in a spacious open plan setting. Enjoy the uninterrupted views of Paternoster from your private balcony which boasts a dedicated Braai / BBQ area. The room is equipped with an open plan kitchen including a full size fridge and stove. Full access to DSTV and Free wifi included in the price. Aloha 2 is a ground floor unit with 2 bedrooms. This spacious unit is pet friendly and features an enclosed semi private outdoor entertainment area with a dedicated Braai/BBQ. The unit has an outdoor shower perfect for washing off after a day well spent on the beach. Sleeping up to 4 people it is perfect for a family or group of friends. Full access to DSTV and Free wifi included in the price. Aloha 3 is a large open plan cottage, the unit is pet friendly with its own outdoor Braai/BBQ area and a private outdoor bench. The unit sleeps 2 in a double bed and comes equipped with full access to DSTV and Free wifi. Aloha self catering accommodation is owned by Francis and Ronnie Holloway. They have resided in Paternoster for over 10 years and decided to share their piece of paradise.